Not to be outdone by Nintendo’s insanely popular NES and SNES Classic Edition retro consoles, Sony has announced the PlayStation Classic. We’ve already seen “Classic” plug-and-play systems from the likes of Nintendo and SNK, packing a wide variety of retro games into a tiny, portable system, and Sony is the latest company to get in on the fun. 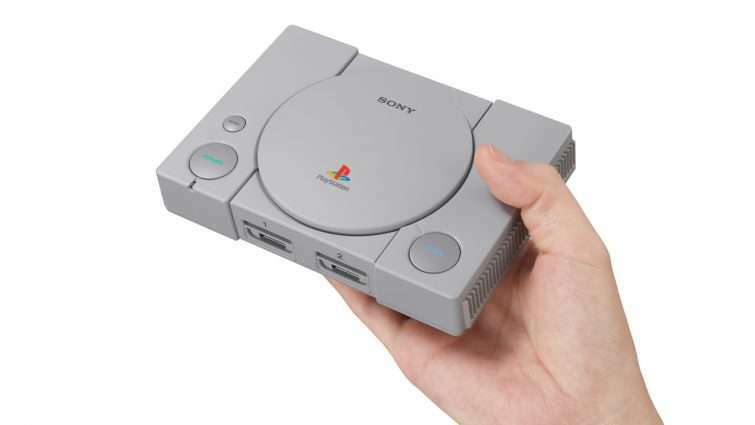 According to a new blog post from Sony, the Japanese company is bringing back its original PlayStation console nearly 25 years after its initial release as a miniature gaming device aptly called the PlayStation Classic. Of the 20 games that will be available on the console, Sony has only announced five so far: Final Fantasy VII, Jumping Flash, Ridge Racer Type 4, Tekken 3, and Wild Arms. That’s already a nice selection, representing an array of genres that should appeal to most people with an interest in ’90s gaming. The PlayStation Classic is an inevitable grab at the nostalgia market after the wildly successful Nintendo Classic Mini NES and SNES consoles were released in 2016 and 2017, respectively. Featuring 4K and Full HD compatibility, HDMI support, and two replica controllers, the PlayStation Classic is set to release on December 3, 2018 for $129.99 CAD.